Once a month, I spend the whole morning driving around Delta Township while J gets her hair cut. I usually spend part of that time looking for someplace to eat. This month was easy. A couple weeks ago, I saw a posting on Craigslist for jobs at a new place on Saginaw Highway. Last weekend, we were out in the area and I drove by to see if there was any indication it was opening. There was a sign on the door that said it would open February 25. I knew we were going to be out there on the 26th, so we were good to go for lunch. 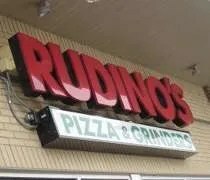 Rudino’s Pizza & Grinders is in a small strip mall near the Menards on Saginaw Highway. It’s in the space that used to be Art’s Pizza & Italian Oven. We tried going to Art’s once, but it was closed. 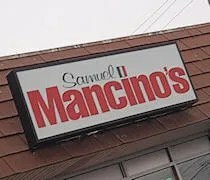 I was excited to see a new pizza joint moving in. 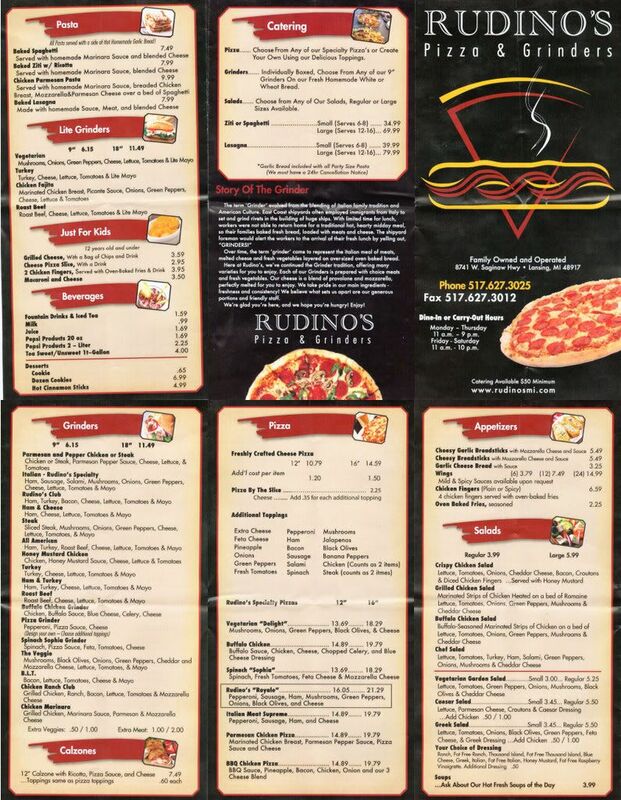 I just saw an ad posted on Craigslist for a new restaurant moving in to the former Art’s Pizza location at 8741 W Saginaw Hwy in Delta Township. It looks like a chain out of North Carolina if it’s the same one. Interviews for positions start next week, so I would expect the place to open up soon. We do a lot of shopping out that way so we’ll definitely check it out soon.